Well, true, the one with the producer credit was just repackaged old stuff. But it got me thinking Lee might have learned something new & helpful to him while hanging out at Viper during any time spent there. Only a small mention but nice. There is a small article about the exhibition in the latest edition of Shindig magazine (the one with the Rolling Stones on the cover). I haven't got a scanner or I'd upload it. There's a few quotes from Paul Hemmings and the photographer involved. got the Vinyl and Cd in the post today with a Viper at 100 CD. The Way We Came is a 'new ' song 9 mintues long. Ooh cool. I need to wait a week for money to buy it. What's it like Kev? I remember the days when it was rumoured to be Fishing Net. I will try to get along to this exhibit too. It's not fishing net. It's psychedelic! Thought it might be "psychedelic". I had in my head something vaguely Swashbuckleresque... interesting cause Cammy seemed the Led Zep style riffmeister but that was before him! 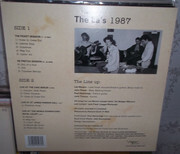 Mine arrived in the post today too Just listening to it now. It's not what I was expecting, like you say...kind of psychedelic, with an airy, epic/grand feel to it. Sadly the quality of the recording is pretty bad though, not Sorry bad, but definitely not great. I think it'll take me a few listens to actually decipher the lyrics, for example. Tony wrote: Thought it might be "psychedelic". I had in my head something vaguely Swashbuckleresque... interesting cause Cammy seemed the Led Zep style riffmeister but that was before him! 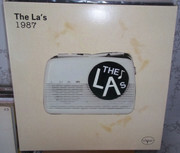 http://liverpooletc.com/shooting-stars-the-las/ Article: An exhibition focusing on The La’s opens at The Florrie this week. I heard about it and smiled. Then I was sent a preview of it and did something else: I listened. Properly… for the first time in a while. By Alan O’Hare. Here's a good article on the exhibition with pics. I'll go to it next week probably!